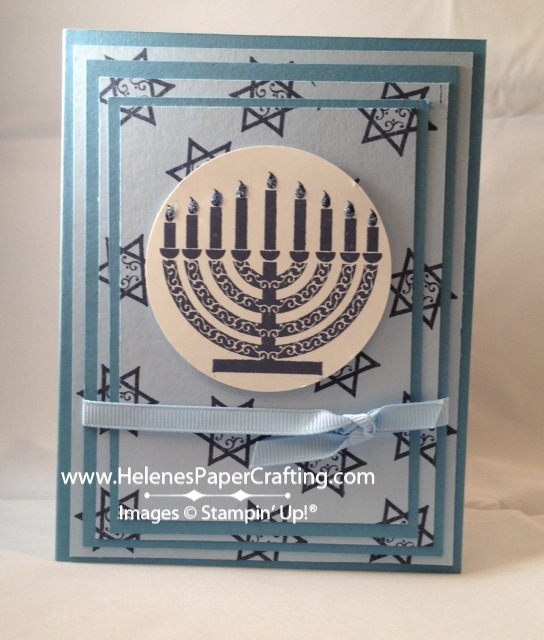 Here are some projects I've made using the Jewish Celebrations Stamp Set (#128045 clear mount, #128042 wood mount). 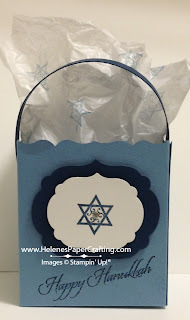 The first project is a party favor that I made using the Fancy Favor Bigz XL (#115965), the Labels Collection Framelits (#125598) and the Big Shot (#113439). I love these items because they can be used for so many projects. 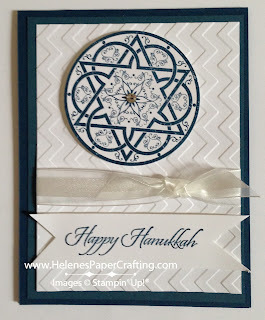 For this card, I used the the 2 1/2" Circle Punch (#120906), which fit perfectly around the decorative Star of David stamp. 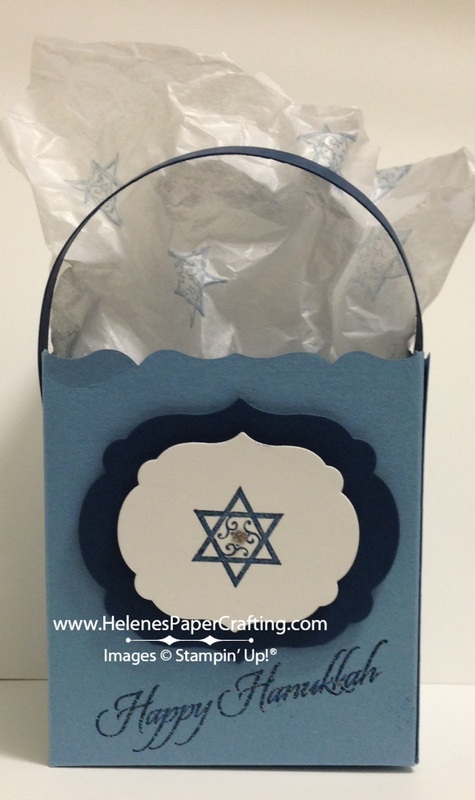 I embossed the Whisper White card stock using the Chevron Embossing Folder (#127749). I added a little rhinestone and some ribbon to embellish the card. 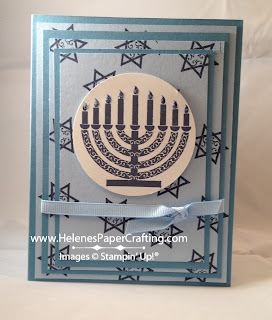 Once again, I used the 2 1/2" Circle Punch (#120906) to punch out the Menorah and then adhered it to the card using Dimensionals to give it a little "pop." I added a bit of ribbon and used Dazzling Details (#124117) to give the candles a little sparkle.